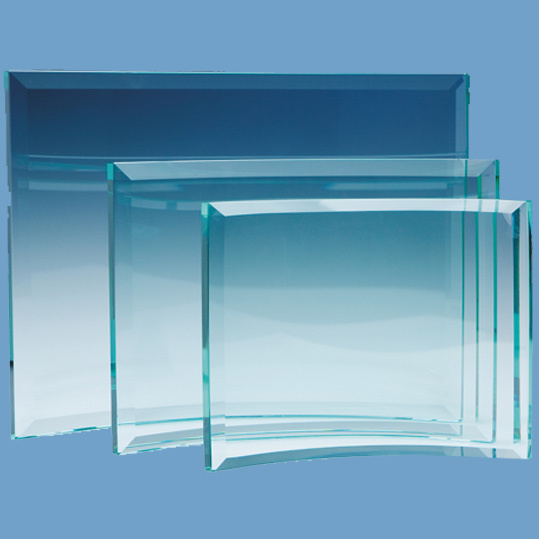 The jade glass curves are available in 4 sizes and are ideal as recognition awards to put on display at work or at home. They have a polished edge, bevel on all 4 sides and a large engraving area that can be personalised with any logo, crest and wording to mark a sales achievement, sporting success or just to acknowledge a job well done. They are supplied in individual white gift boxes.